It is a reality. The new partnership between Peace Boat Organization in Japan and the World YMCA has started with a 9 days Peace Cruise between Japan and the islands west of Japan to Taiwan and back to Hakata in Japan. More than 60 YMCA leaders from 17 countries have signed up for a week of School of Peace. We are sailing with 800 other passengers, mainly from Japan. A lot of us arrived during the day yesterday, Saturday, bringing with us a good doze of painful jet lag. 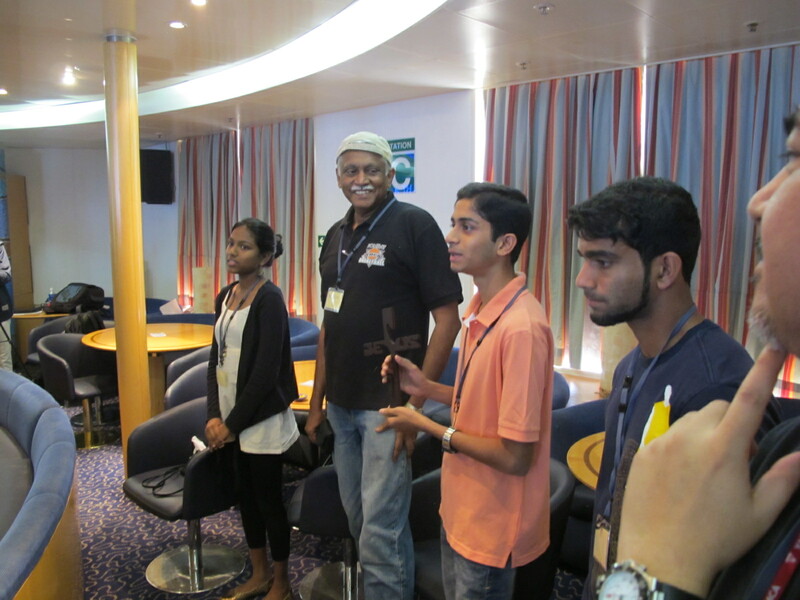 Still smiling and in good mood we entered Ocean Dream, the Peace Boat. Yoshioka Tatsuya, co founder and CEO of Peace Boat welcomed us on board with a big, broad smile and tons of Japanese hospitality and friendship. 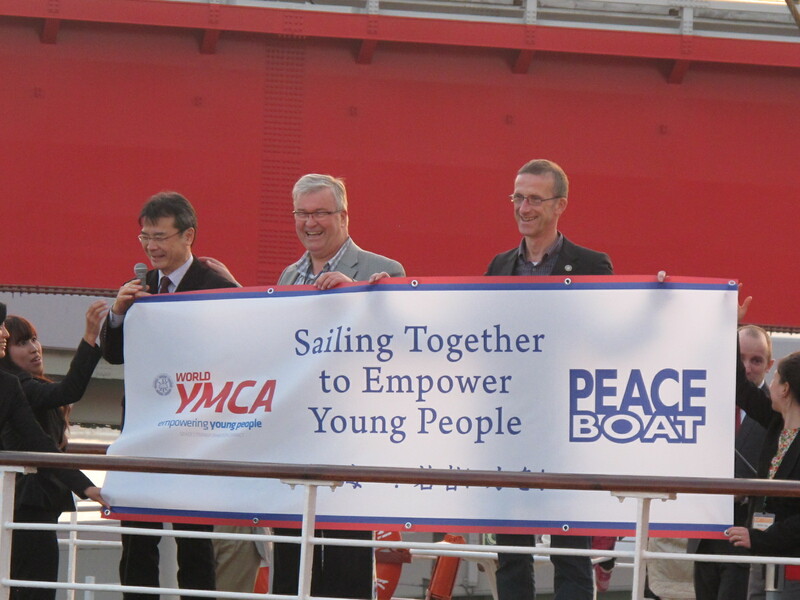 Before we departed from Kobe harbor, there was a fascinating departure ceremony where we unveiled the big poster telling the world that Peace Boat and World YMCA are Sailing Together to Empower Youth. Speeches were introducing the new partnership and I was trying to lead a hundred elderly Japanese ladies in the Village People YMCA song. They all knew it well! This morning the School of Peace started by all of us sharing a sign of peace. Each of us brought a personal symbol of peace and we introduced it to the group and the symbols were placed on a table to remind ourselves why we are coming together. We are focusing on peace. We are learning about peace. It was fascinating to hear the stories from very different backgrounds, often from countries were there has been civil wars and violence of different kinds ongoing. Max Edinger was introducing the APAY School of Peace, which is a very important inter faith initiative, including participants from different religious backgrounds. This is an initiative with a ten years history in Asia, and it is time that the rest of the world also gets to know about this peace initiative inside the YMCA. Normally a School of Peace programme is going to last for 14 weeks, where twenty participants are living together, doing field visits together and learning about the backgrounds of all the other participants. 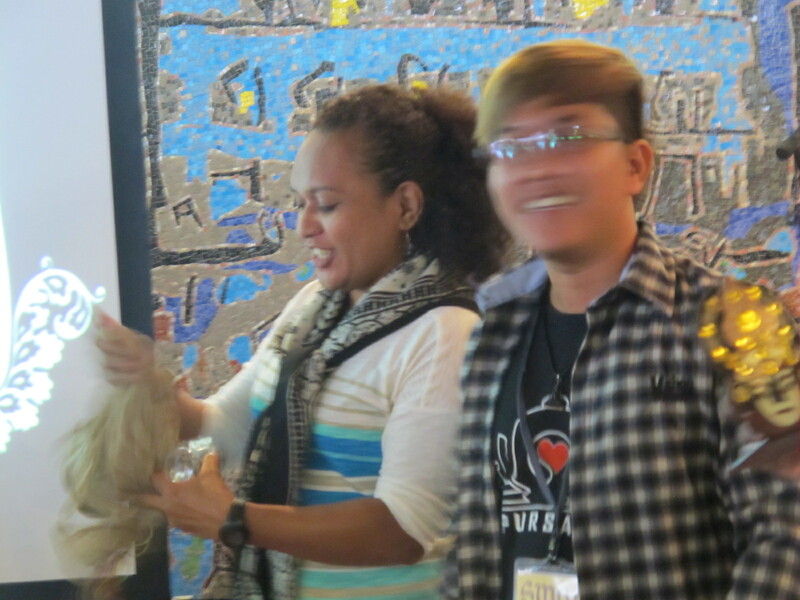 In the beginning living together like this is very difficult, the participants told us. But after three months they never want to leave one another, the friendships have grown deep and become lasting bonds of love and care, across all boundaries and divides. Later on today we will listen to a lecture given by Yoshioka about the history of this part of Asia. The countries of Japan, Korea, Taiwan and China have had a very complicated and painful history together, and the YMCAs in this region are working together to overcome the painful past. 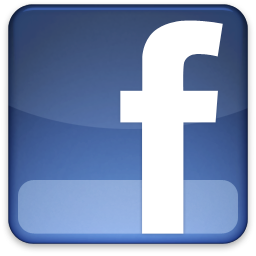 As often on my travels in far away parts of the world, internet is a real challenge. The satellite internet connection I have access to when the conditions are favorable, is not high speed and does not allow me to upload photos. So I will try my best to update my blog with text, and post some photos when I return home. We are in Okinawa just now, and tomorrow we are sailing to Taiwan and the plan is for a few of us to make a visit to the state President of Taiwan tomorrow. More whenever I am technically connected with the outside world. Meanwhile we have an inspiration stay onboard the Ocean Dream, Peace Boat. « 30 DAYS THROUGH CENTRAL AMERICA AND CARIBBEAN – GRACIAS/THANK YOU! Excellent commentary, I will cite this in an article I’m writing to promote 2015 Peace Cruise.. thanks as always for this beautiful Blue Music Blog! !